In simple terms, signing surety for your business means you agree to assume personal financial responsibility for any debts it incurs. Paying your debts back is a good thing, right? God is all about not living in debt. The problem with providing surety for a business is that you put your family’s economic future in jeopardy. When a business gets in trouble and you are responsible, assets like a home, retirement account, etc, can be taken by the bank as payment. 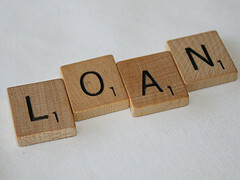 When you first go into the bank looking for a business loan, don’t be surprised if they ask for surety. It’s standard in the lending industry. However, there are other ways to get necessary financing without putting your family in the crosshairs. 1. If you’ve already made the mistake of signing surety, concentrate on building retained earnings in your company. Once that number reaches a certain level, many banks will release you from a personal guarantee. 2. Look for investors rather than loans. Heading down to your local bank to grovel for money is not the only game in town. You can just as easily grovel to equity investors who most likely won’t require a personal guarantee. Pursuing this strategy means you will have to give up a portion of ownership in your business. 3. Run a debt-free business. Though many might think the very idea of running a debt free business is ludicrous in this modern age of finance, nothing is further from the truth. God is quite clear on his stance related to borrowing (Proverbs 22.7) and every single reference to borrowing in the Bible has a negative connotation. To borrow a line from the secular/Christian rock band U2, “The God I believe in isn’t short of cash, Mister.” It’s a good point. Do you really think it’s necessary to insert a bank into the equation in order for God to bless the enterprise? Keep this in mind. It is entirely possible to live a corporate AND personal debt-free lifestyle. Try it. You might like it. God certainly does.